Kochar Plaza is a centrally located classy property with trendy and bright rooms in Karol Bagh, Delhi. The property is close to Liberty Cinema Bus Stop, Delhi Sarai Rohilla Railway Station and Shastri Nagar Metro Station. Roshanara Garden, Indira Park, Rock Garden and Karol Bagh Market are close by. Kochar Plaza has a trendy facade and a banquet hall on its premises. The reception lobby and the hallways are done up in cosy colours and accents. The rooms are spacious, tastefully furnished, and feature mirrors or unusual wall designs for aesthetic reasons. The bathrooms are stylishly tiled and come with the latest fixtures. 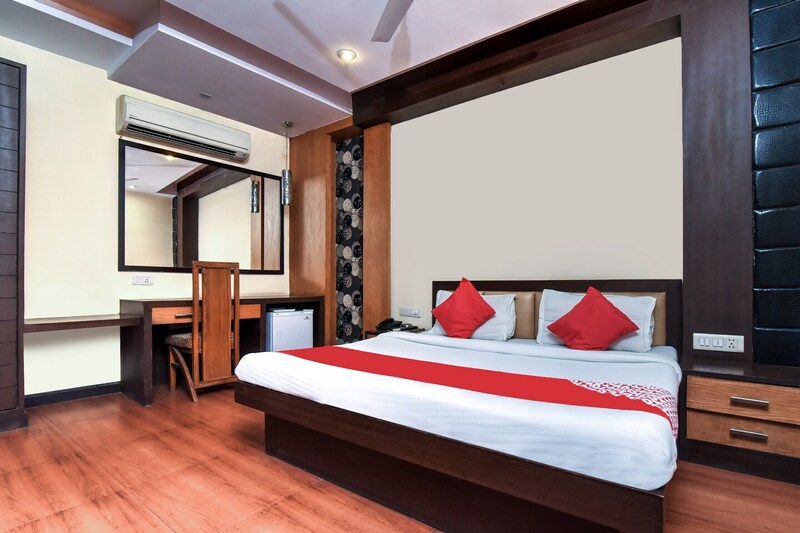 All the rooms of Kochar Plaza come with a television, a mini fridge, a seating area, a king sized bed, and an air conditioner. The hotel offers free Wi-Fi, power backup, and CCTV security to its guests. Food joints like Ganesh Restaurant, Shri Rama Restaurant, Domino's Pizza, The Midnight Heroes, Peshawari Chicken Corner and Chopsuey are in close proximity to the property.